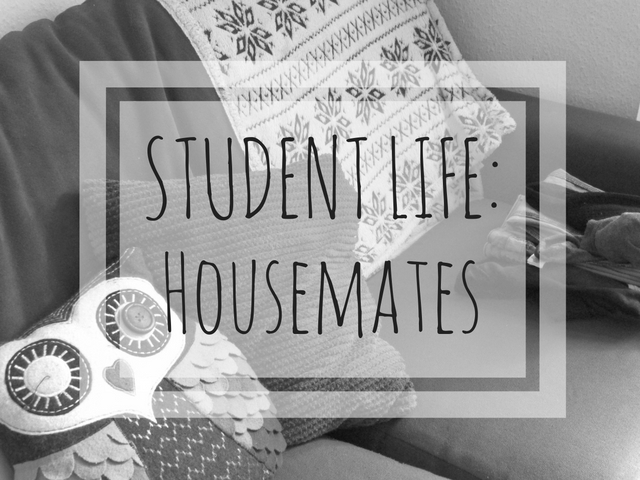 Been a while since I wrote a student life post, but I've had much more planned so they are still coming! 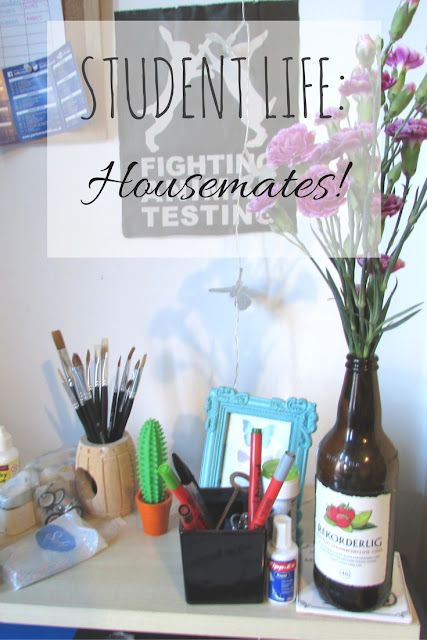 This one is advice on housemates, again not generic advice, but from what I've learnt from mine. Living in a house is a great way of making friends 'cos unlike in some halls, there is a living room, sometimes a garden and a bigger kitchen. Last year we spent most of our time in the cosy living room or in each other's rooms. It's pretty similar this year except more time is spent in our rooms due to a heavier workload but we all know we have to get on with it, and it's great to have people in the next room to spur you on to work when you're feeling floppy! It's a shame if you clash with housemates but my advice on that would be to keep things as peaceful as possible. That's how I am able to cope anyway when things get tense. Obviously, if someone is out of order there are calm ways of standing up for yourself, every situation should be handled maturely. One thing that can be argued over a lot is keeping the house clean, especially the washing up. It's hard being the only one who gets really bothered by the super unhygienic kitchen, I know this because I am that person, the other three don't mind as much. I wash up straight after myself and clean the kitchen surfaces regularly, so I don't do big clean ups. Sometimes the others get the kitchen really messy to the point I can't deal with it. I always try to be patient about it and let them know how much it bothers me. Luckily because they're also my friends they understand, but it can be trickier if they're not. My advice there if it carries on would be to put the dirty dishes in their bedroom. I've threatened this before (I've also threatened to wake them up by blasting One Direction...) but never had to do it... (and I know I said maturely but when needs must...)! Finally, bills. So bloody boring so I'll keep it short. Bills and rent need to be handled just as tenants, not as friends. There is usually one person who ends up sorting it, we tried sharing in first year but it didn't work so this year I take care of all of them and the others put the money into a bank account specifically for bills (don't do it out of your personal account, you want to keep track that you are not paying more than you should!). Setting up a direct debit is a good way to make sure they pay you the money on time every month. I have ended up covering for people because they are my friends, or have forgotten to put the money in, but this year I put my foot down and said if I was doing them it was all being done my way! Apart from that advice, living with other people your own age is so great! I've only lived in houses with three other people the last two years and I like it that way. Not too many of us, and we're a close little group. Housemates will always be there to binge watch Dexter with you until 3am or to re-watch Misfits because they haven't seen it yet. Total pain! See here: http://www.amynmore.blogspot.co.uk/2014/09/uni-tips-from-experience.html for a pic of our kitchen when I lived in a student house! It can be difficult living with others! There's one year where there were 6 of us, but lucily we all got on so there wasn't many fallings out.